The Tasmanian Museum and Art Gallery (TMAG) was identified by the Tasmanian Government as an important element of the revitalisation of Hobart’s Sullivan’s Cove precinct. The project’s specific aim was to transform the Museum into a place of national and international significance. It was conceived as a multi-stage development. 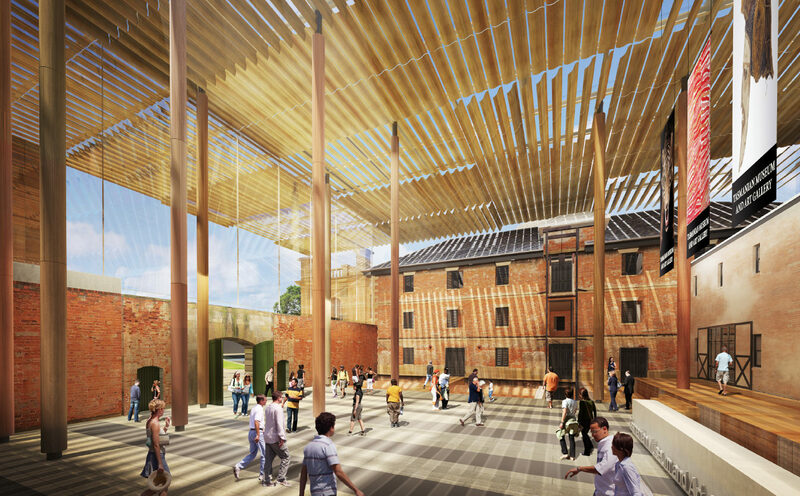 Stage 1 completed a detailed investigation of the site’s archaeology, the condition and integrity of the heritage buildings and site services, and developed a master plan providing an overarching design concept for the site and exhibitions. Stage 2 focused on the restoration, care and use of the heritage buildings from design through to construction and commissioning. It involved the full refurbishment of most of the heritage-listed buildings on site including the nationally significant Bond Store and its use as an exhibition space. Stage 2 also provides a platform for future works. Root Partnerships was engaged to develop the business case for site redevelopment. We provided recommendations for the full redevelopment of the site, advised on strategic directions and preliminary concepts for a future TMAG, undertook an investigation and assessment of site options, determined functional and organizational requirements, and conducted a feasibility assessment which was ultimately funded by the Tasmanian government. Root Partnerships then developed a project implementation strategy and provided project management services through concept design, design development and documentation, tendering and construction. Stage 2 was completed and opened successfully to the public in March 2013. The design and delivery of a project involving highly sensitive heritage buildings was a major challenge on the project. The design required careful identification of the boundaries, transition spaces and linkages between existing buildings. Successful staging of construction related not only to the site and buildings, but also to the Museum’s content and operations. In 2014 TMAG won the Heritage Architecture Award (Tasmania) in the Australian Institute of Architects Awards.